I love being a Connected Educator. My network of #edufriends has allowed me to grow my practice of teaching and leading in a way I didn’t know possible. My PLN has teachers, administrators, ed techs, edu wonks, and all sorts of ed-sy types from all over the world. We meet together on twitter, google+, facebook, instagram, and blogs. We occasionally get a real-life-in-person visit through our participation in edcamps and other local and national venues. So many incredible things are produced and shared through this network of incredible educators and parents. The amount of information can cause my brain to feel overwhelmed. I aggregate through hootsuite and feedly. I clip to evernote. I use all my tags and tools. But sometimes, it feels like I’m sifting through sand. (This is a good problem to have, of course.) The deluge of information can exacerbate my already full brain–constantly feeling pressure to multi-task to be able to follow the threads. Then I stop. Close the tabs. Remember that in our 24/7 world, it will always be there later, tomorrow, or if I need something else, it will be there still. If we as Connected Educators try to keep up with the rush of our networks, we will inevitably all find ourselves in lovely padded rooms with Nurse Ratched as our guide. You can connect a little or connect a lot, as long as you connect. If you are new to our connected educator world, do not dismay, in time, you’ll sift through the sand, find your go-to’s and build a strong network. Click on the link above for great resources from The EduBlogger or tweet me, @teach2connect and I’ll get you on your way. You can do it PLN! 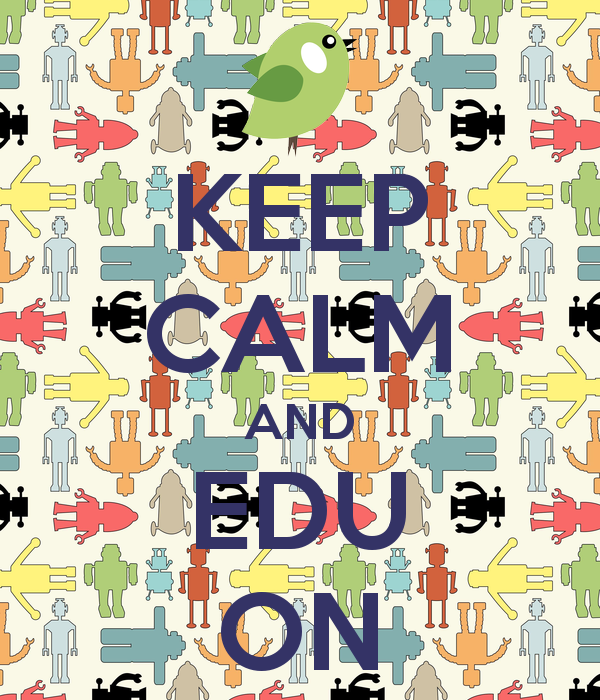 Keep Calm and EDU On. Previous Post do i get a cape?